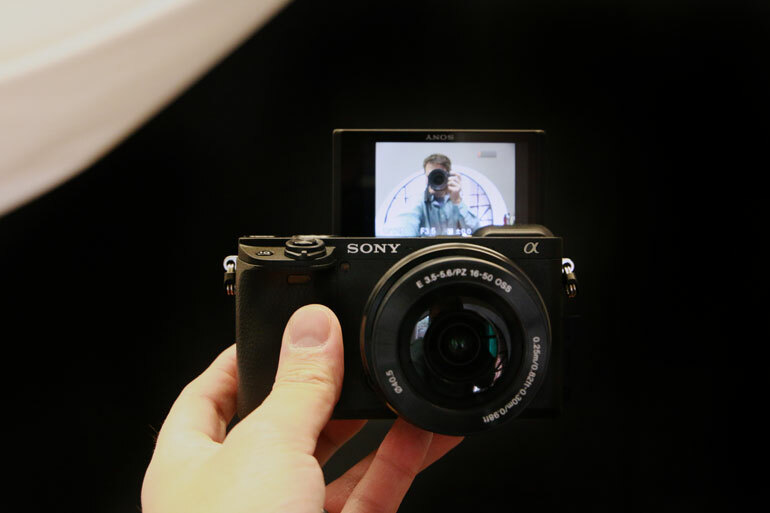 For under $1000, Sony has come out with one hell of a camera and lens combo for both photo and video shooters - the Sony A6400 with 16-50mm lens. 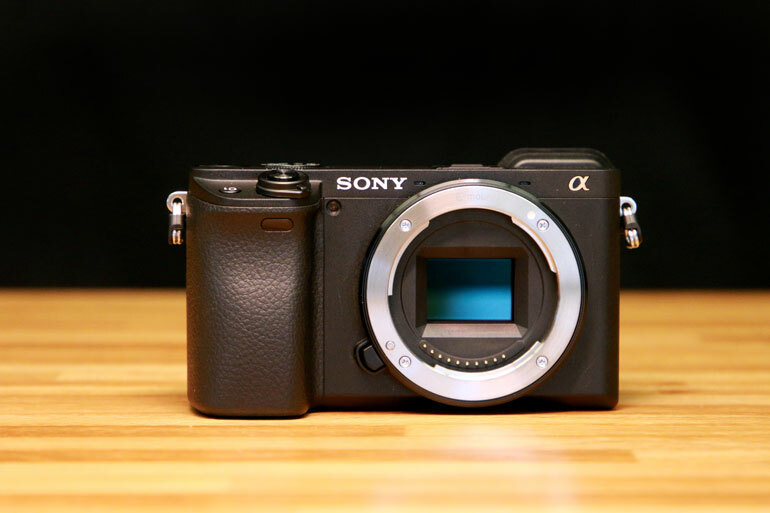 The A6400 offers the best of the Sony’s A6000-line - minus the In-Body Image Stabilization featured in the Sony A6500 - but with good 4k recording, incredibly quick autofocus, a tilting screen that flips up 180 degrees, a quite good EVF as well as an outdoor viewable bright LCD display, up to 120fps slow motion, timelapse shooting, focus and exposure assist, and more. 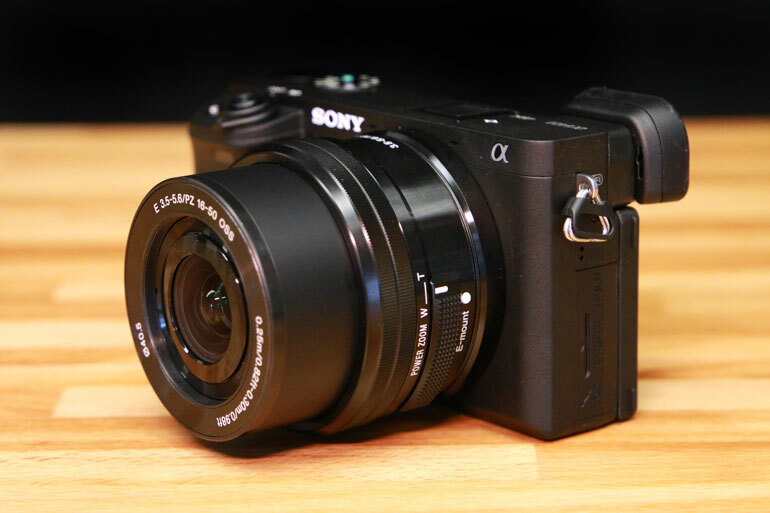 And for $100 more than the body alone, you get the Sony 16-50mm f/3.5-5.6, a tiny and featherweight power zoom lens with stabilization that can happily stay on the camera the majority of the time. 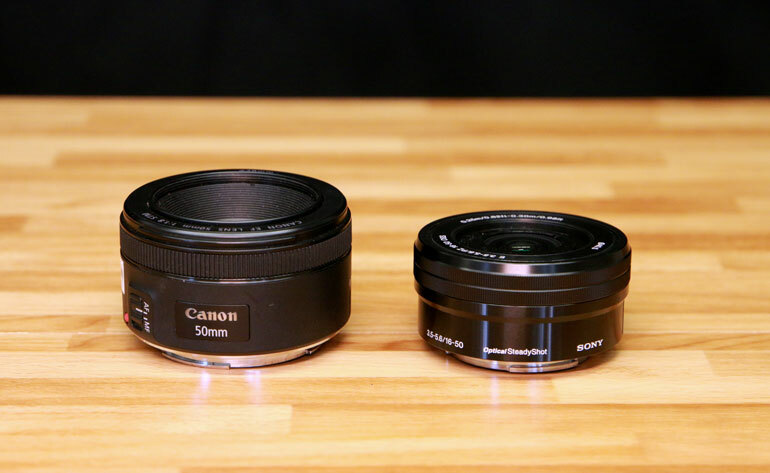 Purchased by itself and not in the kit, the lens costs 3x more. 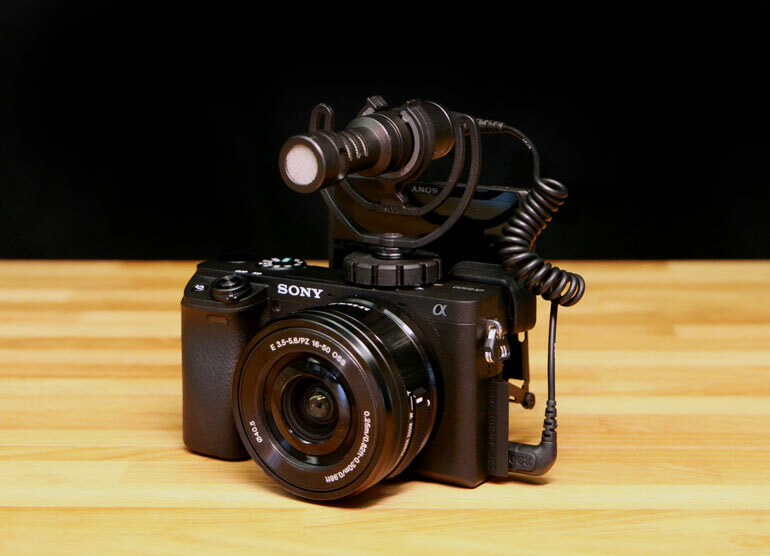 For anyone who is looking for a starter camera on a budget, for vloggers looking to change up their camera setup, or for seasoned video shooters who want an ultralight camera to use with a gimbal, the Sony A6400 delivers. For complete specifications, take a look at Sony's official page. 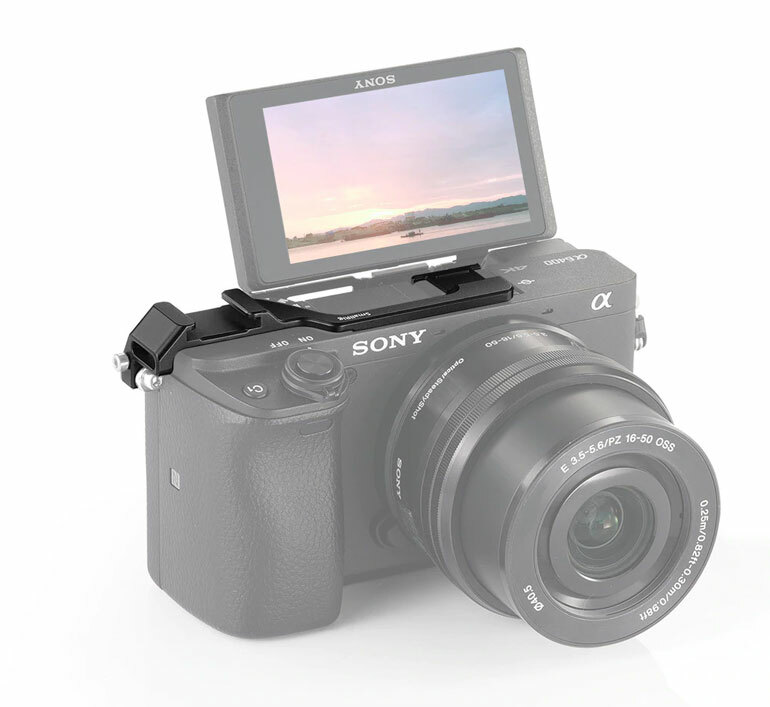 The A6400 has a 24 MP APS-C CMOS sensor. It has an E-mount lens that accepts established lens adapters, so you can easily use lenses from Canon or other manufacturers you already have. There’s one SD memory card slot, inside the battery tray. It can record up to 4k UHD at 30fps, at 100 MB/s. It can also record at HD up to 120fps. There’s a built in microphone, as well as a 3.5mm external mic jack. 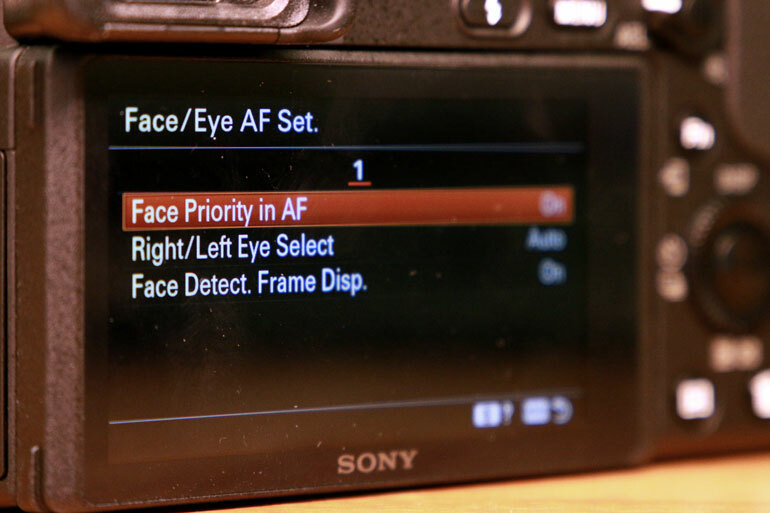 Autofocus has Continuous-Servo AF, Single Servo AF, and Manual override. The EVF is 0.39 inches, with 2.3 million dots. ISO sensitivity from 100 to 32,000, or extended up to 102,400. In photo mode, continuous shooting can go up to 11 fps. There’s an HDMI Micro output for an external monitor. 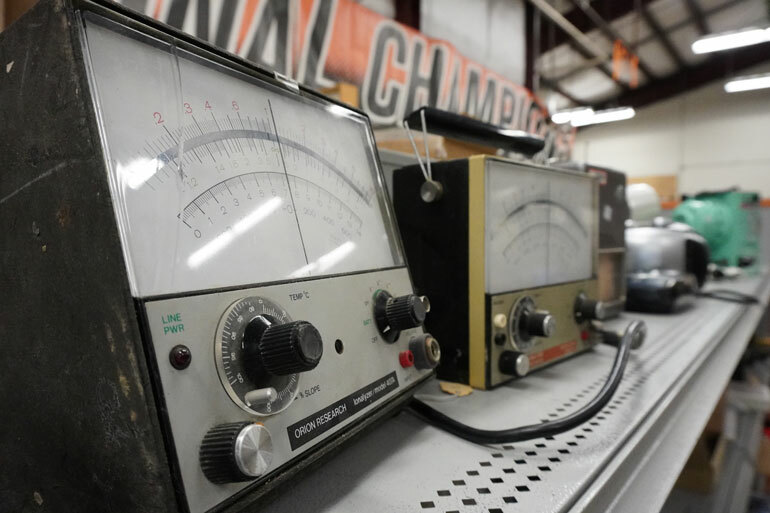 It uses an NP-FW50 battery, and can be charged while in use. The charging cable has a USB terminal, which makes it very convenient. 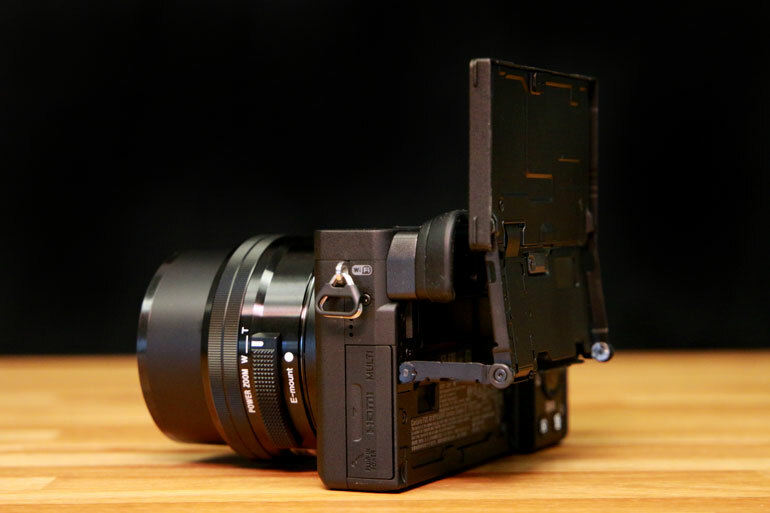 The A6400 weighs less than 1 lb, and is 4.7 x 2.6 x 2.4 inches. If you’re already familiar with the A6000-series cameras, then the upgrades here are small but important to consider. First, there’s the LCD display that tilts completely 180 degrees, so you can take selfies or shoot vlog videos with ease. Combined with the excellent face tracking AF, the A6400 becomes a really good vlogging camera. 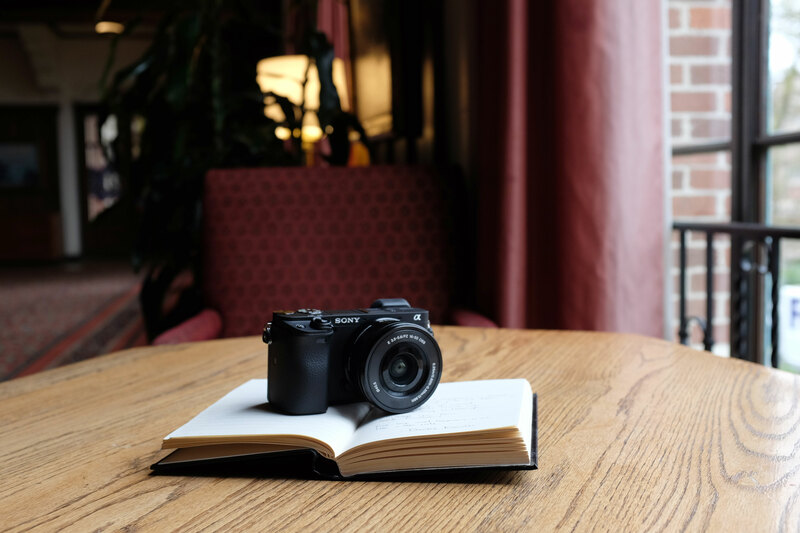 With the 16-50mm lens, you can hold the camera at arm’s length and have enough of a field of view to shoot yourself plus 1 or 2 people next to you. The face tracking auto detects and maintains focus on faces really well - we’re certainly impressed. The autofocus is superb on the A6400, using the Sony 16-50mm. There’s not much else to say about it, except it handles extremely quickly. You can depend on it to both lock in and maintain focus, and that's pretty much all you want from an autofocus system. The surprising thing about the 16-50mm lens is the autofocus works even when subjects come super close to the camera. That’s a big feature if you shoot kids who like to get up right in your face anytime you take a camera out. The specs say the minimal focus distance is 9.8 inches, but in this screen grab it seems the subject isn't much further than a few inches from the lens, even if taken at 50mm. 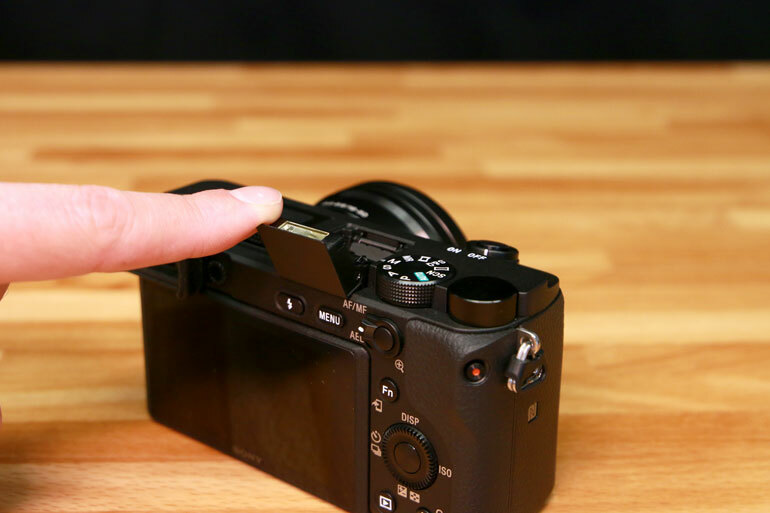 But the giant feature in the A6400 is the touch focus tracking. If you touch and hold onto a person or object on the display, the tracking mode becomes activated, and then it just works. We’re not sure how well it works with Sony’s telephoto lenses, but if it’s as good as it works with the 16-50mm, then color us impressed. Thanks to the prevalence of lens adapters, as well as the many native and third-party E-mount lenses available, the A6400 can be used in a vast variety of shooting scenarios. From commercial to documentary filmmaking with larger lenses, to keeping it lightweight as a travel camera. But for $100 more than the body itself, the A6400 kit with the 16-50mm lens is highly worth it. This little lens feels like it is made for the small A6400 body. And for general purpose use, as well as for vlogging, it's superb. 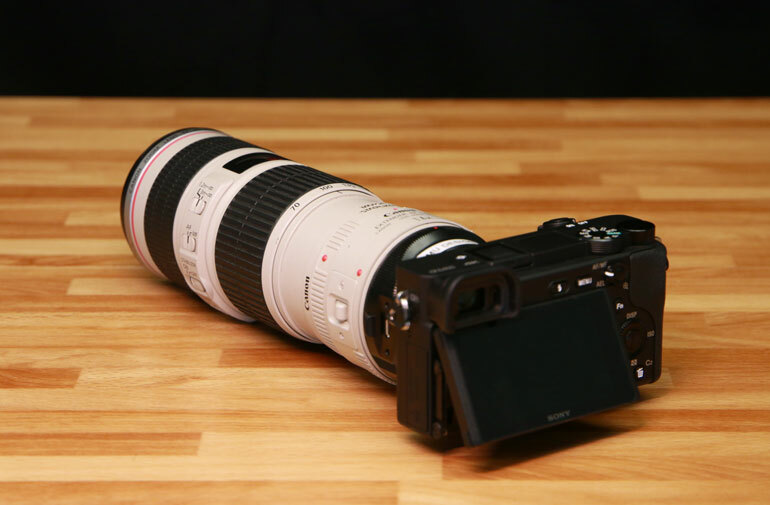 There's also a kit with the Sony 18-135mm lens. As for zooming, you sort of have to choose if you’re a person who likes to grab the zoom wheel to adjust your frame, or if you want to use the servo toggle. 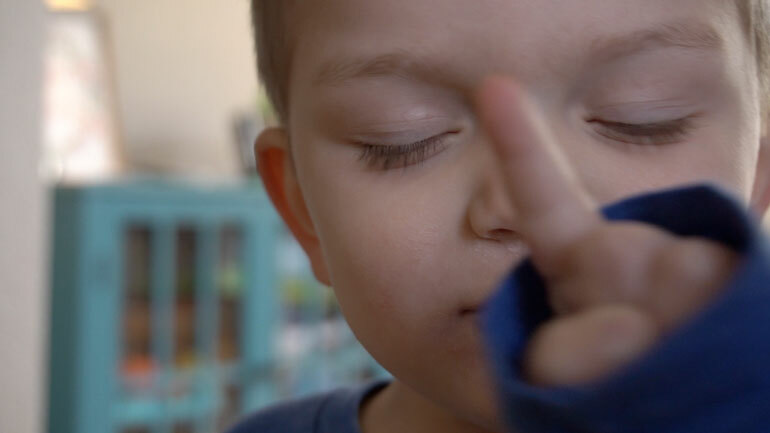 If you don’t memorize the feel for this early, you’ll find yourself constantly having to look at the lens to figure out where to press the zoom in or out button. An interesting biproduct of the onboard flash is that it's not fixed to one position. So, with a free finger, you can tilt it to get a little bit of bounce flash. It's a little difficult to predict where the flash will bounce to, because just a little bit of tilt will throw it in a vastly different direction. 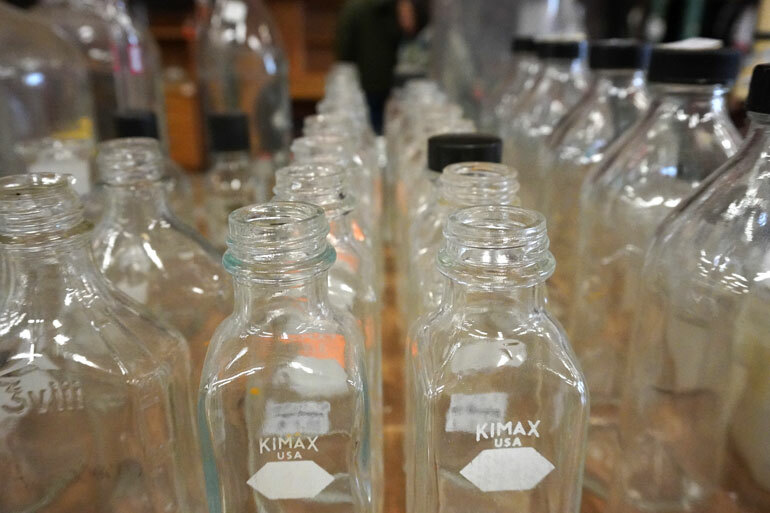 But with some muscle memory or practice, it's a handy little feature for taking better fill in dark interiors where the ceilings are not too high. With a little bit of ingenuity, we bet you could come up with a gaff tape solution that puts the flash in just the right tilt angle anytime it pops up. Housing the charging cable in a USB cable is a really nice feature. Now you can charge the battery with any USB wall plug you have lying around, or by plugging into a computer, or a USB battery. In fact, the A6400 even allows you to continue shooting while you’re charging. That makes it very handy for long video shoots, or timelapses. 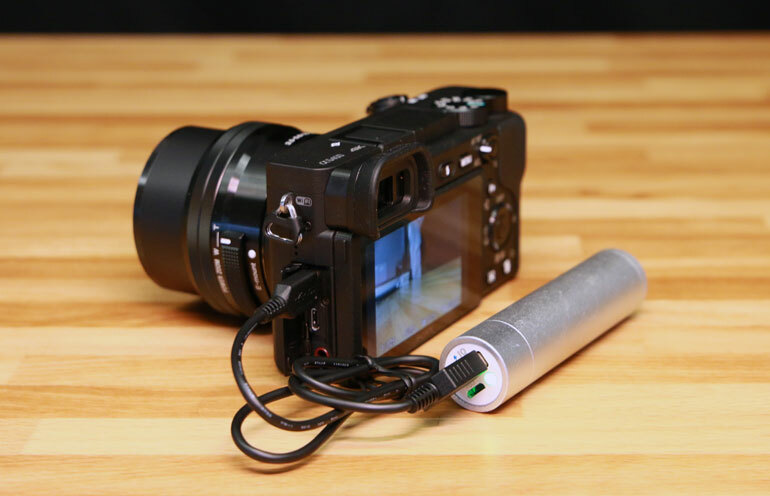 You can simply attach a USB battery somewhere to the camera and you’ll extend your battery life significantly. Another side benefit of this continual power option is you can use the A6400 comfortably for livestreaming. And if you’re a vlogger, you’re probably pressured to do livestreams from time to time, right? Get an Elgato Cam Link and you’ll be set. Oh and one more big point in the positive camp - the A6400 has done away with the overheating problems that plagued other A6000-series cameras. Although the tilting display is super handy for vlogging, if you’re using an on-camera microphone, it’ll block the screen. 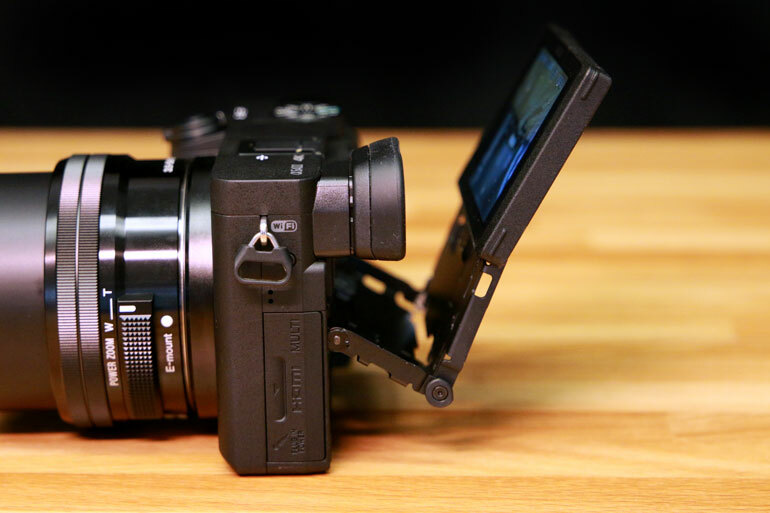 Even if the tiny Rode VideoMicro completely eclipses the A6400 display. Luckily, SmallRig has already come up with a solution for this issue. The SmallRig Cold Shoe Relocation Plate enables you to move the shoe to the right side of the camera, so you can place your mic (or on-camera light, or an external monitor or other accessory) away from the display. While we’re on the topic of the tilting screen, it does look like a very intricate system of latticework that may not hold up over time, especially if you drop it. The beauty of an articulating LCD screen is that it can handle little bumps. The other missing feature with the A6400 tilt screen is you can’t turn the LCD around and hide it during travel. That means you’ll either want to get a screen protector, or live with the likelihood of getting scratches all over your LCD display over time. 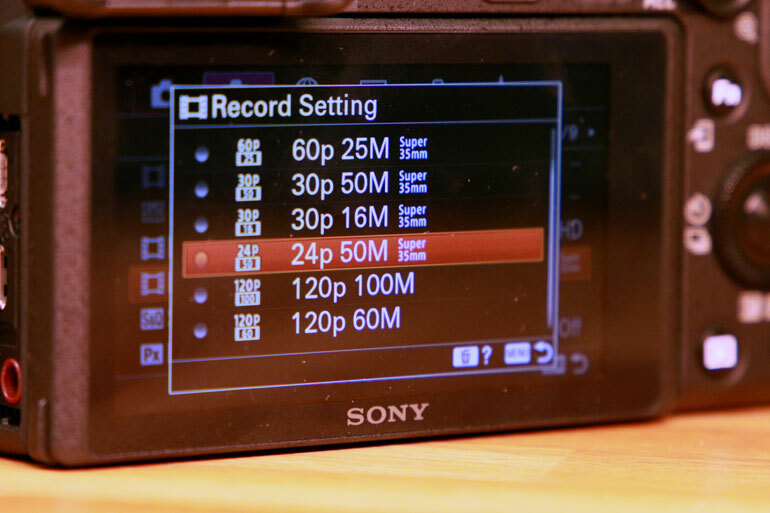 While the autofocus system is incredible, the Sony user experience starts to shatter as soon as you grab the lens and adjust focus manually. 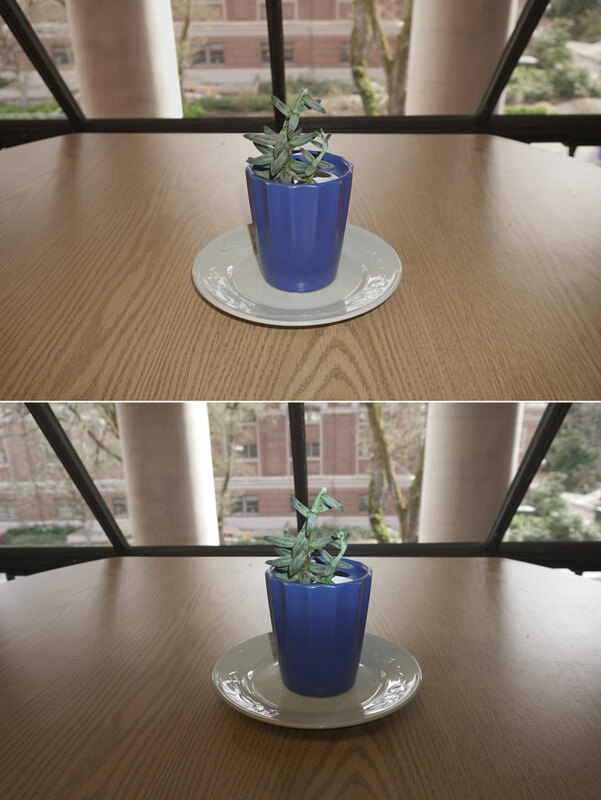 The autofocus system turns off as manual focus override takes over, even if you didn’t intend it. This happened to us a few times when we first started shooting the camera. We would try to zoom the lens and accidentally touched the focus wheel, which turned off AF. And unfortunately, it stays off until you press the select button, to turn autofocus back on. 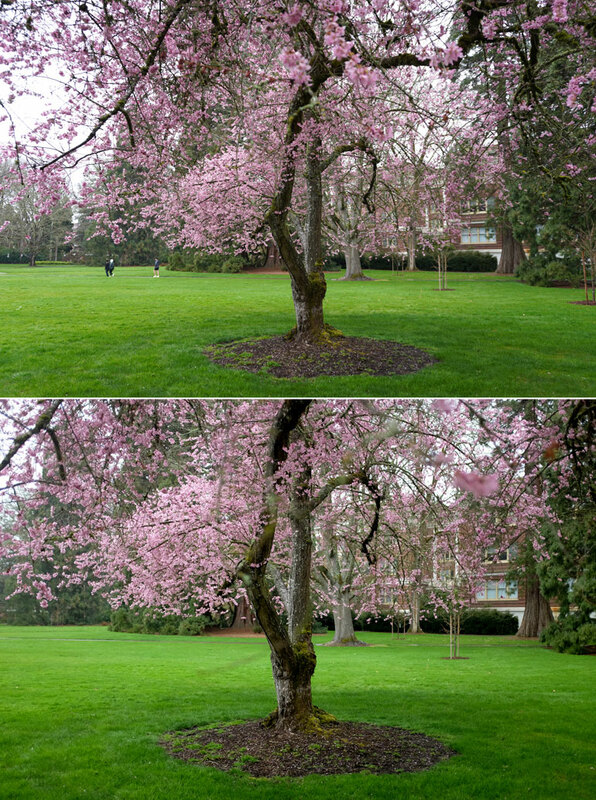 Expecting the autofocus to “just work,” we were surprised to review our initial photos and videos and find that most everything was out of focus, because we were inadvertantly in manual focus override. The physical feel of the camera is not bad, considering how small it is. We really like the physical touch of the buttons - they actually have some bounce to them, even as you rotate the selection wheel on the back of the camera. 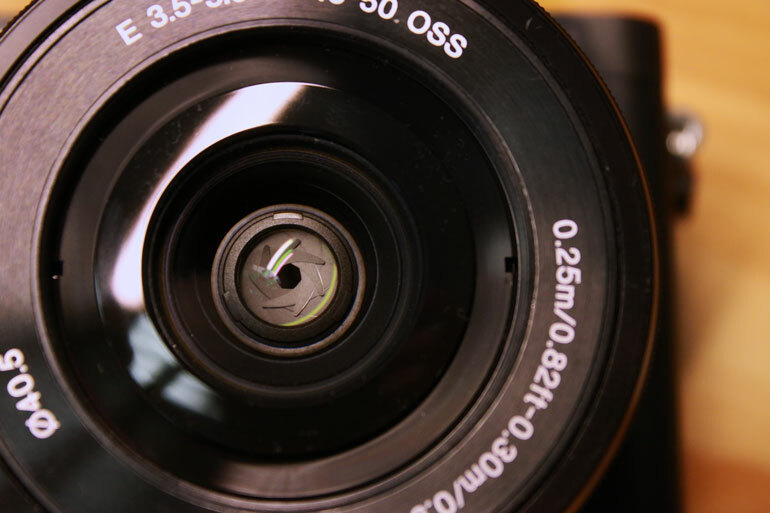 What we don’t like is the aperture or shutter wheel on top of the camera - we would prefer a traditional grooved wheel in the front of the camera, where your index finger naturally rests. There’s also only one customizable button - C1 - which makes it a little difficult to truly customize your shooting style. 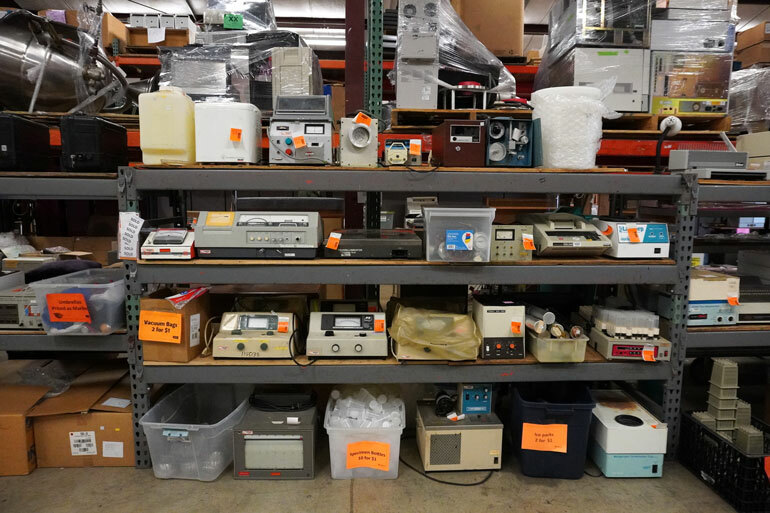 But given the target audience for this camera, we’re not too bummed about it. One annoying feature is that whenever the camera shuts down, the lens automatically retracts into its closed position, and the camera forgets where you left off. So if you're setting up a shot and the camera auto shuts off after a few minutes, you'll have to reframe your shot again. Finally, there’s the missing IBIS. On a superlight camera like the A6400, you need all the stabilization you can get. There’s no way around jitters. Sony’s digital SteadyShot is ok, but it doesn’t help you shoot handheld videos unless you’re standing absolutely still and not breathing. And if it’s going to be billed as a vlogging camera, you’re never standing still while shooting video. The only reason you’ll get away with using the A6400 for vlogging is because when viewers see a human in the shot, their brains lock onto the subject and forgive/forget jitters and shake happening in the frame. But as soon as you turn the camera around and start shooting some handheld B-roll, forget it. If you want to shoot video handheld, you're much better off with the Sony A6500, which has IBIS. 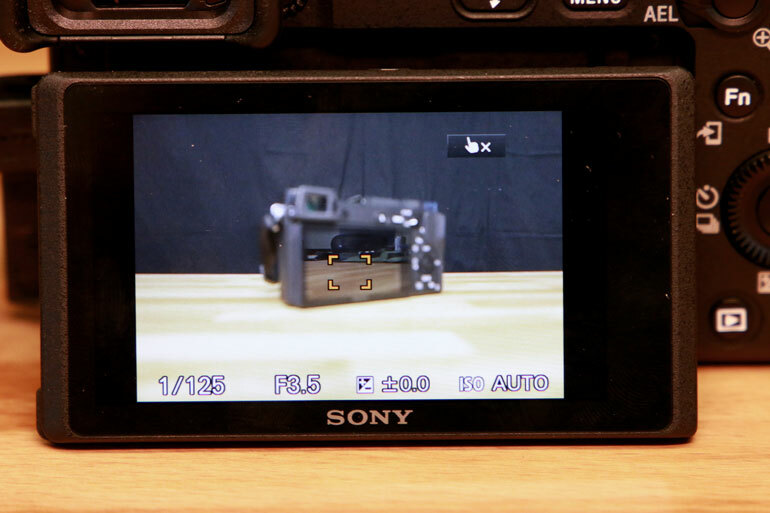 This is an issue with other Sony cameras as well, but one pet peeve about the A6400 is the picture profiles are not labeled. 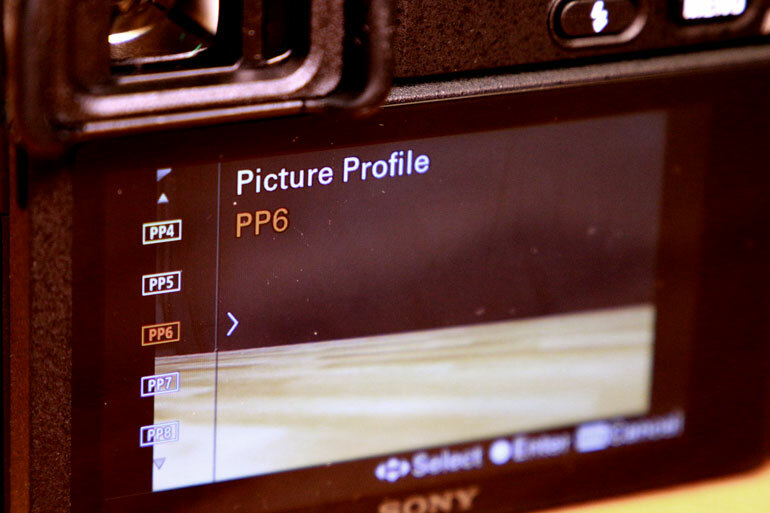 So the only way to know what picture profile you're selecting is by searching online or carrying around the manual. 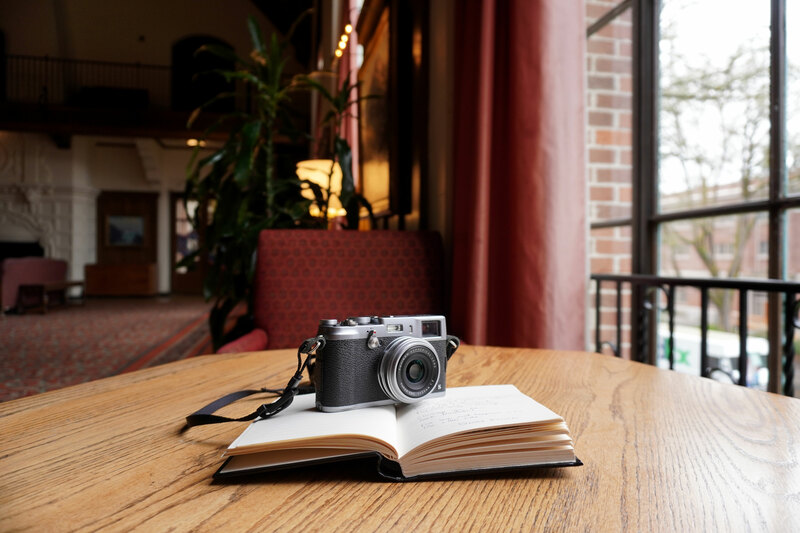 And even though the A6400 comes with S-Log 2 and S-Log 3, we're not convinced the camera has enough processing power and bits to do Log justice. So what is more likely to happen is an average A6400 user selecting PP9 - by accident or out of curiosity - and end up with images or videos they are not prepared to deal with in post. The Sony A6400 is a superb camera, and the Body + 16-50mm combo is an amazing deal. But do we actually like it? Honestly, not really. If money was the only consideration, then sure, nothing else out there comes close to what this camera/lens combo provides. But the A6400 is lacking in something. We’re not sure what to call it. Magic? The feels? It does take sharp pictures and video, yes. And what you see in front of you is what you get with the camera. 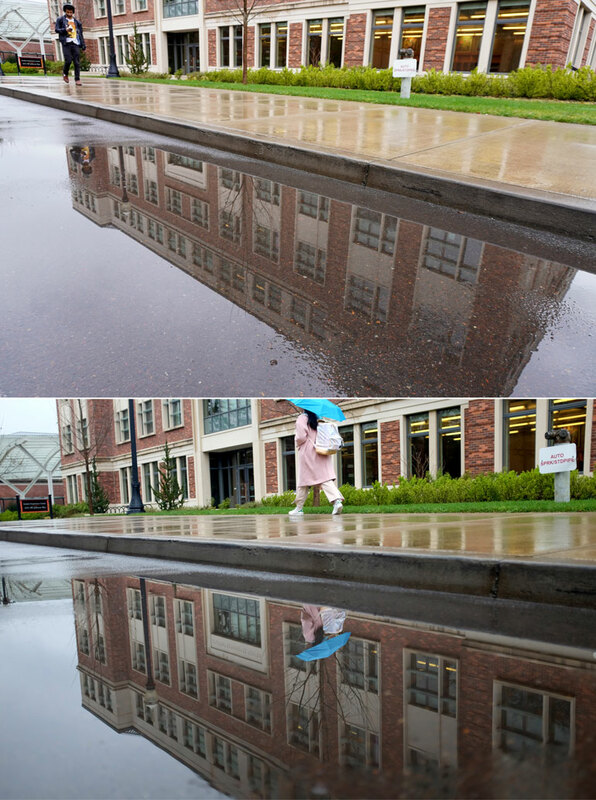 However, when we shoot pictures or video, we want to generate images that look better than real life. We want images that spark some kind of magic. The recent wave of smartphones with image processing tap directly into that desire. The new iPhones and Pixels create images that make subjects, objects, and places look incredible. Maybe a little too good - somewhat fake, even - but clearly the big manufacturers understand our innate desire for digital images to make us, our friends and family, and our subjects, look better than real life. We’re not just talking about the old argument about Sony’s color science. In fact, the A6400 has good colors with its standard picture profile, and you can shoot in S-Log2 or S-Log3 and grade to your heart’s desire. But the A6400 with the 16-50mm still lacks the ability to create beauty. Sony’s other mirrorless cameras have it, Canon and Nikon do it well, Panasonic’s GH5 can shoot images that look like ARRI quality, and of course there’s new Fujifilm mirrorless cameras that feature unique, beautiful images right out of the box. So while we can recommend the A6400 for anyone who is dead set on buying a Sony A6000-series camera, we believe there are other better cameras - for slightly more money - that can inspire beginner photo/video shooters, satisfy vloggers, and live on a gimbal for filmmakers and videographers who want a gimbal camera. If we were in the market for something similar to an A6400, we would go for a Fuji XT30 instead. It’s exactly the same price as the A6400, but the Fuji user experience is top notch, and their colors are insanely good. 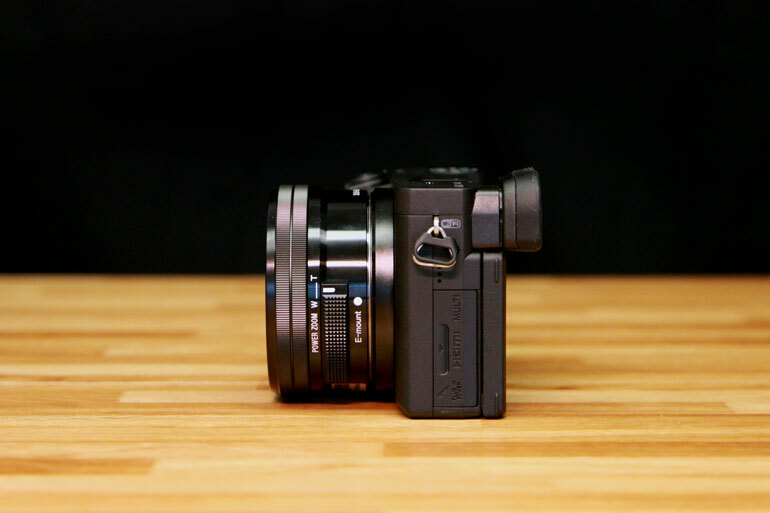 The Fuji XT30 with 15-45mm lens kit would be our pick. In our photo walks with the A6400 and an old Fuji X100S, 10 times out of 10 we preferred the Fuji image, even when all other considerations were the same, such as framing, field of view, and depth of field. 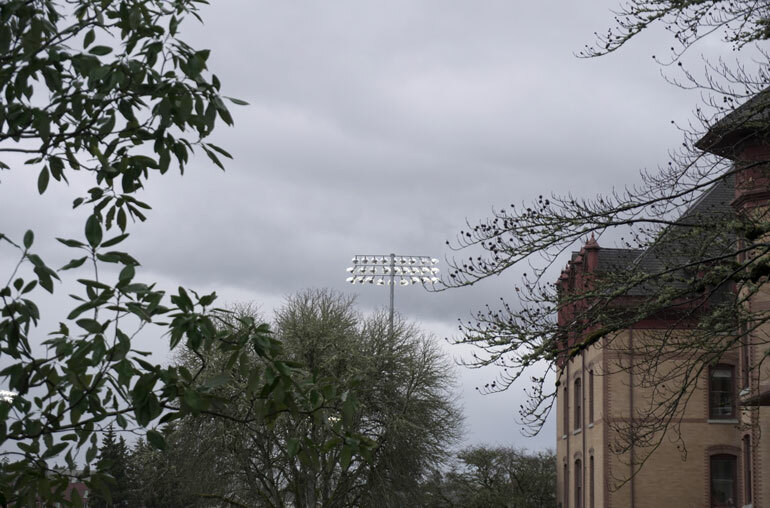 Here's a few more pictures taken with the A6400, where we were disappointed with the overall color and feel of the images, as well as the noise and detail. The images are clickable for full resolution. Conclusion - do vloggers still need a camera? 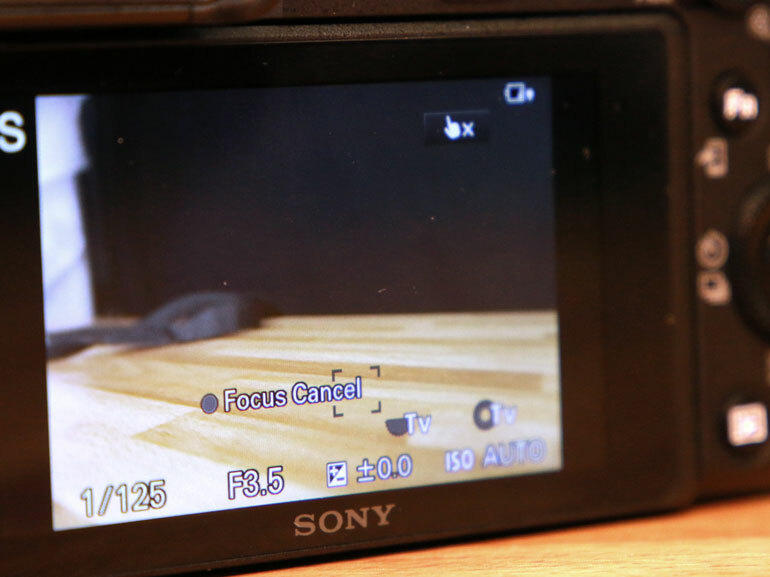 In our opinion, the Sony A6400 is a very useful camera, but it creates mediocre images. And if you’re buying a camera for photography or videography, isn’t the whole point to capture good looking images? Maybe not. The majority of other A6400 reviews focus on its performance as a vlogging camera, and for that utility, it performs quite well. The A6400 is a camera that "just works" - and it's nice to know that in 2019, there is finally a camera that seems to be built for vlogging. But are vloggers really in need of a new camera? Any old camera can do the job fairly well, whether it’s a GoPro, or an old DSLR on a GorillaPod. As long as it has autofocus, or if you’re shooting with an ultrawide lens, you can capture video of yourself talking without fuss. 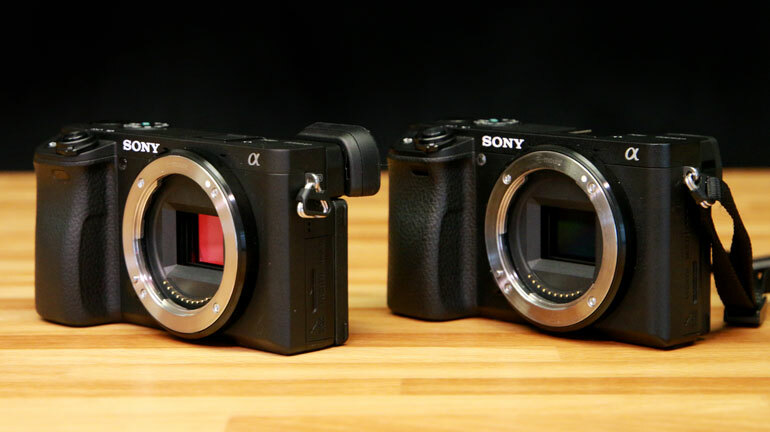 We think most vloggers looking to upgrade their current setup are either moving up to bigger and more advanced cameras, or they’re moving in the complete opposite direction to something tiny, like the new Sony RX0 II. And if you're going to move up to a camera, the options are endless. Now that there are Metabones adapters that can combine lenses and camera bodies from a variety of manufacturers, there are so many more cameras out there that you can grow into, rather than just get the thing that works for your purposes now. So unless you're just starting to get into vlogging and filmmaking, then the A6400 has a tough uphill battle to convince current photographers, filmmakers, and vloggers to make a lateral move, to a camera that is cheap, lightweight, easy to use, and has fast AF, but is otherwise unremarkable. But then again, the rest of the world seems to be fully on board the A6400 train, so maybe we're missing something? Questions/Comments? Send us an email.